‘Ek Mulakaat’ a play, highlighting the plight of women living in conflict zone of Jammu and Kashmir, was performed under Restaurant Theatre at Hotel Premier, Jammu on Sunday. 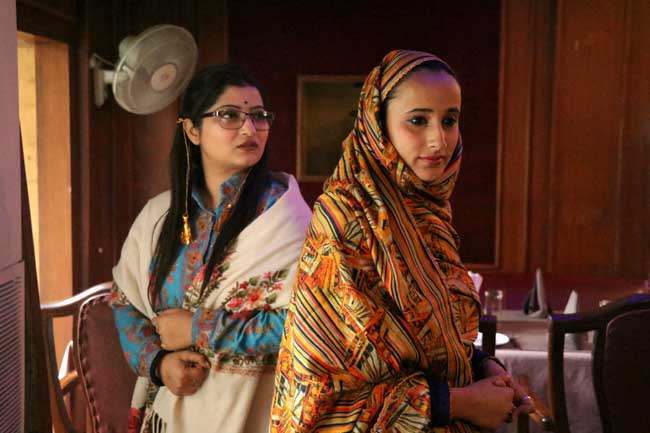 Written and directed by Neha Lahotra, a junior fellow member of Centre for Cultural Resources and Training (CCRT) ‘Ek Mulakaat’ is a story of two women who met after about three decades in a restaurant in Jammu after the migration of Kashmiri Pandits from Valley. Neha Lahotra performed the role of Sunita Raina, a Kashmiri Pandit woman and Nitika Suri performed as Ruksar, a Kashmiri Muslim Woman. 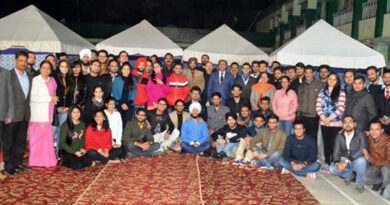 The play has highlighted the composite culture of Kashmir Valley before the migration of Kashmiri Pandits and the present scenario in which both –Kashmiri Pandit and Kashmri Muslim communities are living. The play starts with a sudden meeting of two old friends of Kashmir, who met first time after migration and their discussion showcased their sufferings during last twenty eight years. Kashmiri Pandit woman shared the struggle of her family after leaving their home and the Muslim woman told her, how the militancy has affected the life of Kashmiri Muslims in the valley. The play was highly appreciated by dozens of people present at the restaurant. “I performed this play under my subject- Theatre of Convenience- for my fellowship in CCRT and tried to showcase the pain and plight of Women living in conflict zone. Theatre of Convenience is all about performing the play as per the convenience of the audience and Restaurant theatre is one of the important part of it,” said Neha Lahotra. 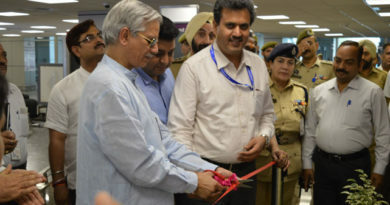 “The migration of Kashmiri Pandits from the valley has badly affected the composite culture of Kashmir and the Muslim community has equally suffered due to militancy in the state. I tried to highlight the sufferings of the women of both the communities through this play,” she added. Neha also thanked Hotel Premier for allowing them to perform at their premises.